Graceland Mansion, once home to Elvis Presley, is the second most visited house in the nation. To enhance their visitors’ experience, the team at Graceland sought to replace the decades old audio guide with an iPad tour companion. As the Project Lead and Experience Design Lead, I steered a team of visual designers and engineers through concept development, visual design, production, testing, and installation. 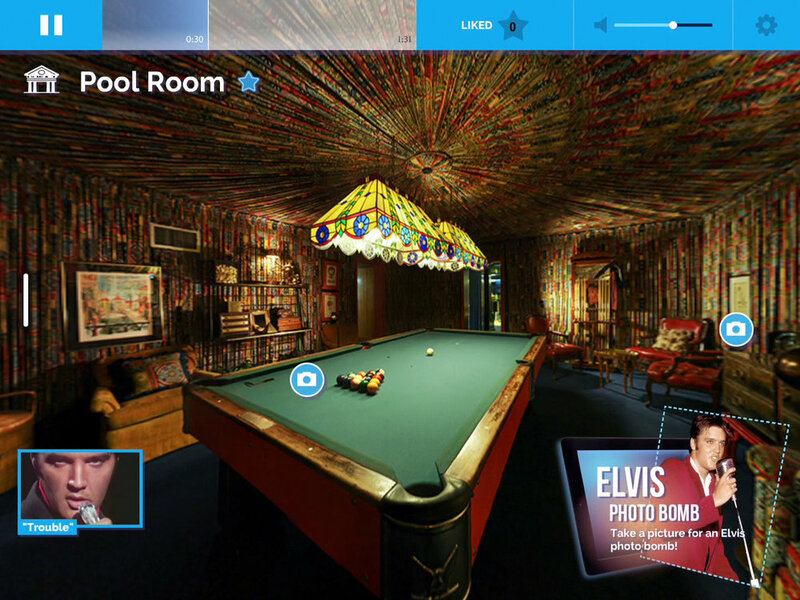 The new tour offers audio narration in 14 languages, never-before-seen archival footage and photography, interactive panoramic views of the Graceland grounds and humorous photo opportunities like Elvis Yourself – an activity that transforms a visitor’s image into an Elvis cartoon. This project was one of the first to leverage beacon technology to deliver targeted, location-based content.